Moon Cycle Nutrition offers a mind and body approach to reconnect with the inner wisdom of your body and rebalance your wellbeing. Holistic nutrition and lifestyle changes are the foundation of deep healing. My integrative approach is focused on providing therapeutic nutrition and lifestyle counseling services to cultivate a healthier, happier, and thriving life. I give you the tools to realize how powerful your body is and it’s ability to heal. It’s time to put the power back in your womb and manifest the life you envision. I work with clients through virtual and in-person sessions. Nimisha is a certified holistic nutritionist from Bauman College of Holistic Nutrition in Berkeley, certified Ayurvedic counselor, and certified Yoga Nidra teacher from the California College of Ayurveda. She holds a B.S. in Psychobiology from UCLA and has years of additional education in human biology, gut microbiome health, reproductive health, and environmental health. Nimisha has five years of experience as a clinical researcher at UCLA and Baylor College of Medicine and more than a collective ten years of experience working in the healthcare field. She has extensive knowledge in holistic nutrition, clinical research, health coaching, sleep hygiene, and preventive health. Nimisha serves as an advisor for FemTech Collective, Integrated Medicine Initiative For Teens, and Conscious Kitchen. She also advises wellness providers and companies on how to build a holistic, forward-thinking brand and service. Nimisha is a connector and collaborator. She gives workshops, talks, and classes and webinars regularly. Drawing on these skills and her own healing journey, she is dedicated to helping people find their truth through lifestyle, nutritional, and mindful work. 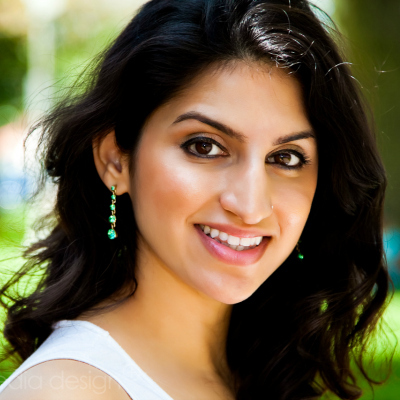 Nimisha is primarily a fertility and women’s health nutritionist. Her work is an integration of ancient wisdom with modern medicine and it’s highly individualized to meet the needs of her clients. She truly believes that health is the balanced and dynamic integration between our environment, body, mind, and spirit. Nimisha’s work is research-based, intuitive, and from the soul. Learn more about Nimisha and her services by scheduling a complimentary 10 minute call.